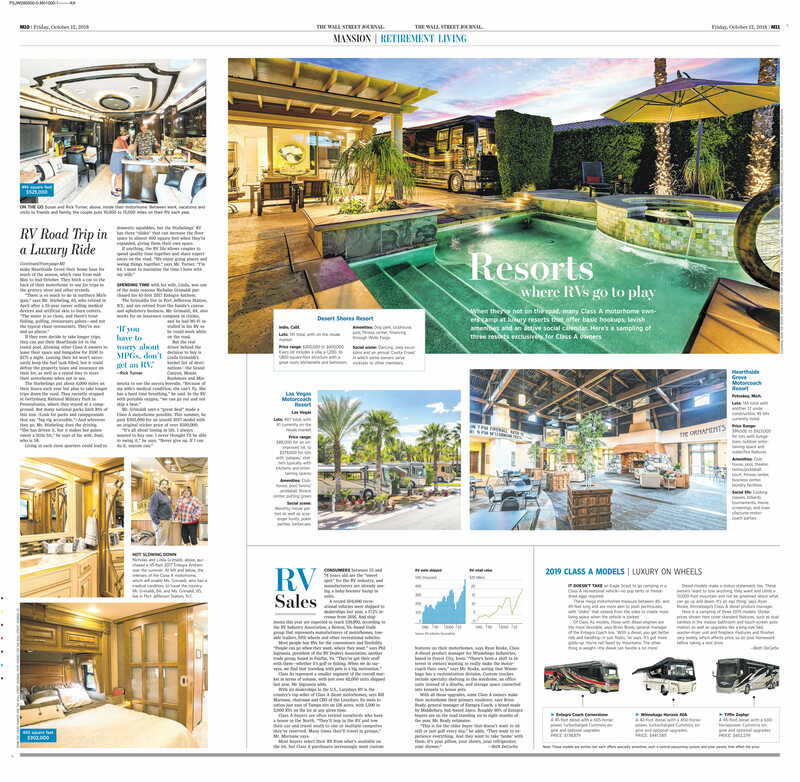 Hearthside Grove In The Wall Street Journal! 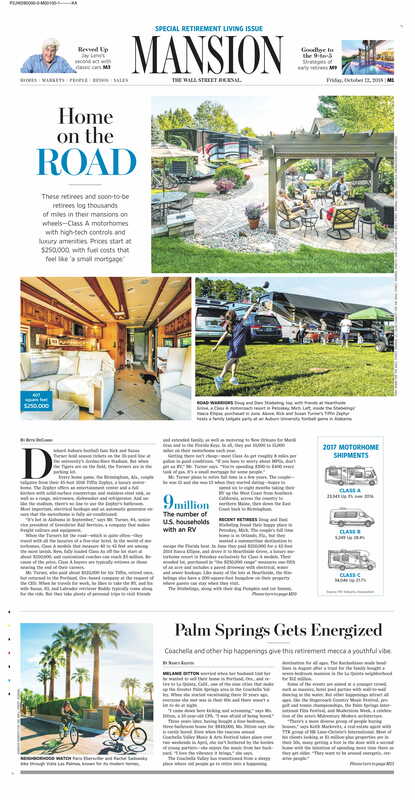 Earlier this week, the Wall Street Journal featured Hearthside Grove Luxury Motorcoach Resort about how affluent and adventurous retirees (and soon-to-be retirees) hit the road in Class A motorhomes with plenty of comforts with a fuel bill that rivals a small mortgage. 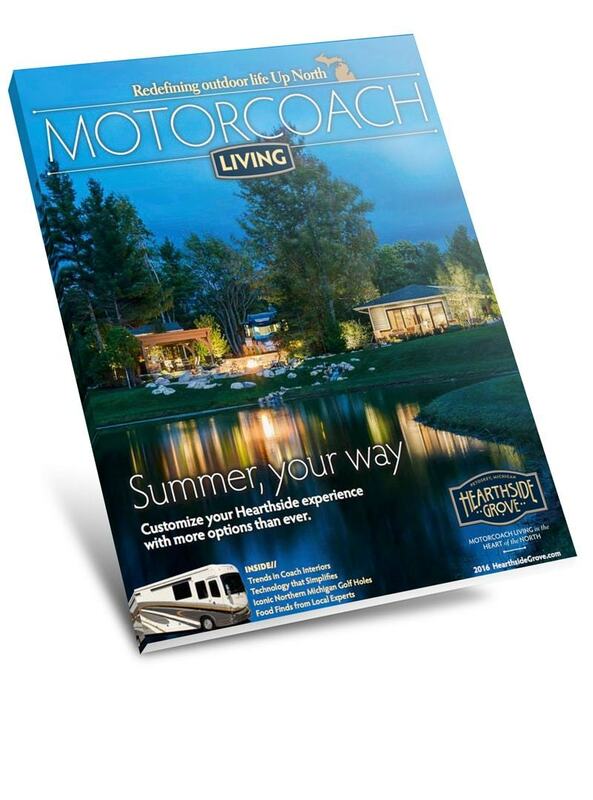 Hearthside Grove was mentioned as one of the best Luxury RV Resort. RV Road Trip in a Luxury Ride make Hearthside Grove their home base for much of the season, which runs from mid-May to mid-October. They hitch a car to the back of their motorhome to use for trips to the grocery store and other errands. “There is so much to do in northern Michigan,” says Mr. Stiebeling, 65, who retired in April after a 35-year career selling medical devices and artificial skin to burn centers. “The water is so clean, and there’s trout fishing, golfing, restaurants galore—and not the typical chain restaurants. 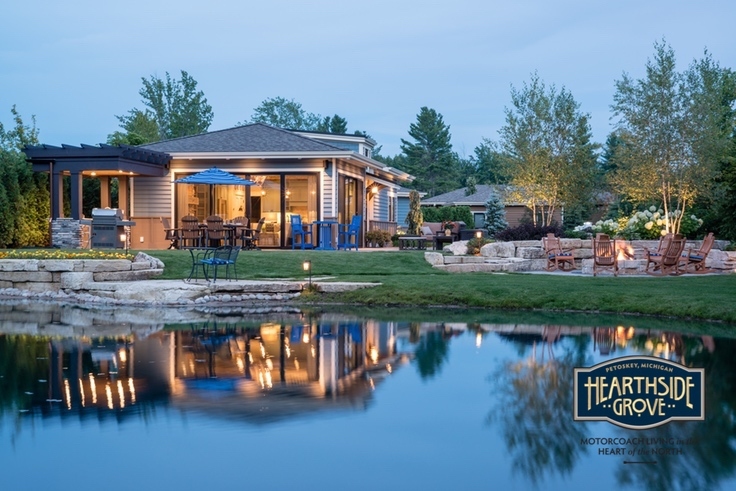 They’re ma-and-pa places.” If they ever decide to take longer trips, they can put their Hearthside lot in the rental pool, allowing other Class A owners to lease their space and bungalow for $100 to $175 a night. Leasing their lot won’t necessarily keep the fuel tank filled, but it could defray the property taxes and insurance on their lot, as well as a rental fee to store their motorhome when not in use.